Whether you’re a crypto billionaire or just another enthusiast, one thing is for certain: traditional banks do not recognize your worth in digital assets. If we’re talking about loans, you cannot get one just by telling the loan officer: “Hey, there is nothing to worry about… I have plenty of Bitcoin to use as collateral”. Unfair, right? Nowadays, loans play an important role in our financial lives. They are a tool designed to manage expenses when savings simply aren’t enough or they are intended for something else. 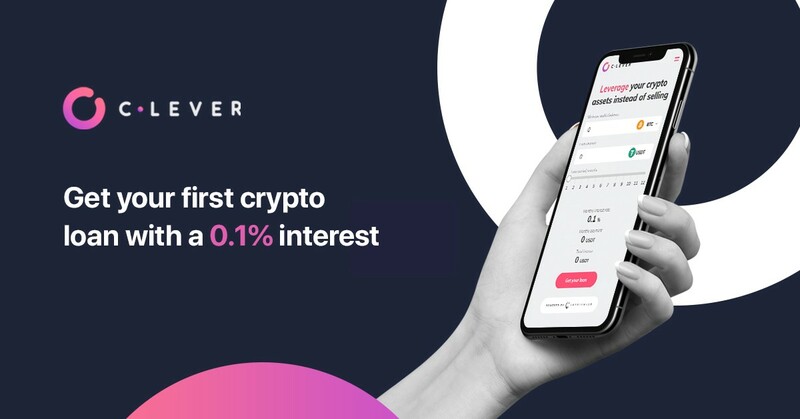 With this in mind, we’re introducing C•LEVER — a new product of the Crypterium Family that allows anyone to get a crypto-backed loan in minutes at a transparent, fixed low interest rate. Ok… How does it work? Pay back your loan in fixed monthly instalments. Check your debt status and payment schedule in ‘My Loans’ section. We’re giving our Beta Testers a chance to get a 1.000 USDT loan at a monthly interest rate of 0.1 percent for up to 12 months. Interested?